This customer wanted a truly unique roof therefore we made Red Jubilee to mix in with Red Antique. Tudor Roof Tiles are pleased to announce their partnership with Leikon of the Netherlands. Leikon was founded in 1976 and initially developed as a major importer of slates to the Netherlands. 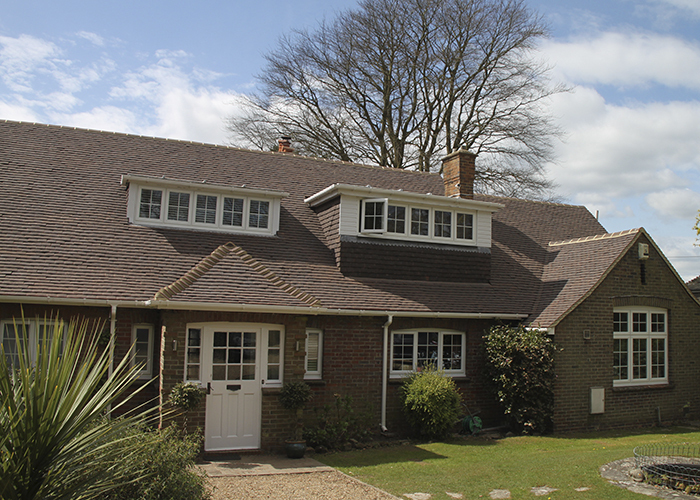 From 1990 they also started to import high quality and exclusive roofing materials, including clay tiles. Nowadays Leikon is the only company in the Netherlands with a full range of slates and clay tiles which now includes exclusive tiles from Tudor Roof Tiles. “We are proud to be the exclusive importer for Holland, Germany, Belgium .. for Tudor Roof Tiles high quality handmade tiles” (Hans van Loon – Owner). The latest Tudor colour – Weathered Earth – is now in full production. Designed to be in the ‘Antique’ colour range, it is perfect for mix or stand-alone roof colouring. A very happy customer in Surrey has sent us a photo…. thank you. Wyken Hall in Bury St Edmunds. 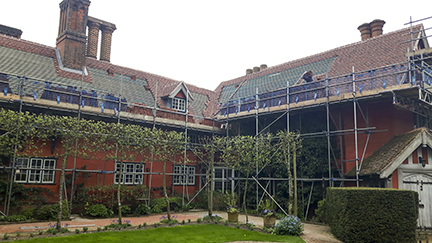 Tudor roof tiles chosen to enhance the roof performance whilst keeping the beauty of the house.